Owing to our experts and rich industrial knowledge, we are keenly successful bin presenting Timing Pulleys. We are the prominent manufacturer and supplier of a wide range of Timing Pulleys. We use superior quality steel or aluminum for manufacturing these pulleys, to ensure their high durability. Based on their advanced fabrication, these pulleys are light in weight and provided with metric and inched timing belt pitches. VSI ENTERPRISES is a leading manufacturer of Timing Pulleys with ZERO Backlash. 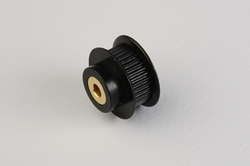 We are manufacturing the pulleys with Taper lock bush and Key less locking system. High quality base material is used for excellent strength and High durability. Timing Pulley are manufactured in Aluminum, Mild steel, Cast Iron Stainless Steel. Timing Pulleys with Pilot/ Finish Bore. We are offering Timing Belt Pulley to our clients. As a customer-focused organization, we are offering a wide assortment of Timing Pulleys to our customers. Due to our years of expertise in this area, we are readily betrothed in providing Timing Pulley. To complete the diverse necessities of our customers in the best possible way, we are occupied in providing best-in-class Timing Pulley. We are betrothed in providing a highly comprehensive Custom Timing Pulleys that is enormously employed in the market. Offered product is available at very economical price. Keeping the diverse requirements of customers in mind, we are instrumental in providing Timing Belt Pulley. 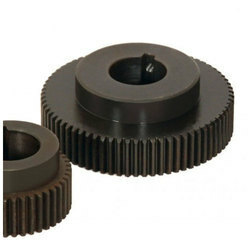 Optibelt ZRS V-grooved pulleys for taper bushings and cylindrical borings.